From 2 to 8 July 2017, both outdoors and indoors, in Marina di Campo (Marina di Campo). The great tango still protagonist returns to the Island of Elba. 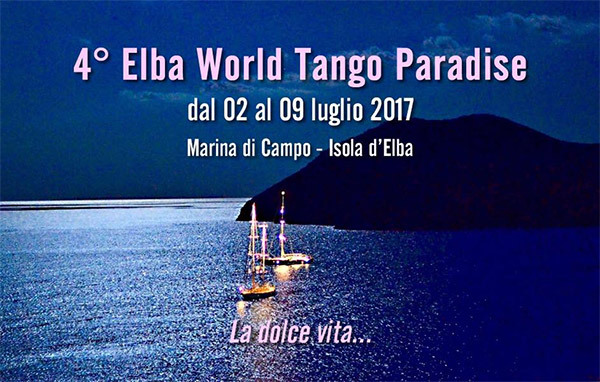 A week during which the most acclaimed international tango will challenge and entertain Elba Island, dancing in the streets and squares of Marina di Campo.